Crude oil is a naturally occurring hydrocarbon. Crude oil is found deep underground. Oil reserves are extracted by oil rigs on land and on the oceans / seas. On land, ‘crude oil’ is piped directly to refineries. 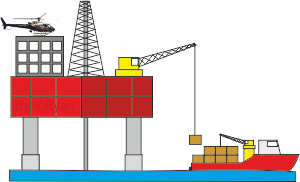 Huge oil tankers often transport crude oil from oil rigs at sea, to refineries. Crude oil is a valuable commodity, as it can be refined (distilled) into fuels, chemicals and processed into plastics. Crude oil is difficult to find and expensive to extract. Refineries ‘distil’ (distillation) crude oil, manufacturing gas, petrol, diesel, heating oils, naphtha (important for plastics), ethylene and polyethylene. Bitumen / asphalt is also produced. Naphtha is processed into ‘plastic’ granules, in a processing plant. 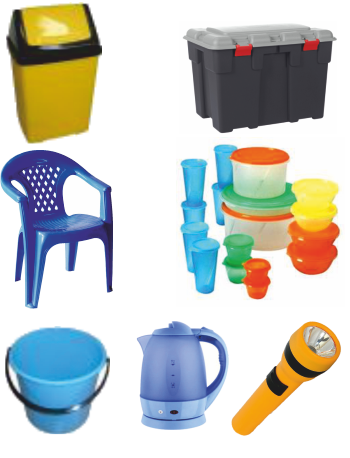 Many types of plastic granules are manufactured. 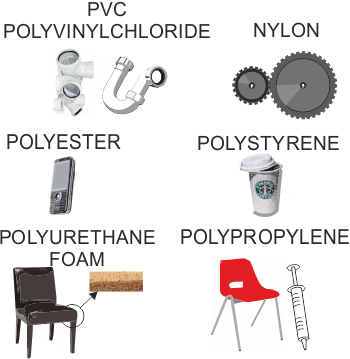 They are used in turn, to manufacture a vast range of products.